Exbino has been around for a long time and is considered one of the most reliable European online trading brokers. The first thing that pops up is the country they’re registered in. While the majority of other binary options brokers are registered on Cyprus, Exclusive Ltd, which is the owner of Exbino platform, is registered in Montenegro. There are many exciting features on Exbino, so let’s dive into the review. Exbino was launched in 2011, and the company behind it is located in London, UK. The binary options platform is especially proud of their staff which tends to form long-term relationships with investors and improves their trading skills with each passing month. Exbino has a flawless payouts history and great customer care, which helped it build an excellent reputation among investors throughout the years. The trading platform takes pride in being 100 percent solvent. Additionally, they have a safety reserve with a minimum of 10 million EUR, which is kept for the purpose of maintaining liquidity and executing withdrawal orders. The user needs to fill straightforward registration process which involves providing basic personal information such as name, email, phone number, and country. Standard Account – This is the basic trade account which comes with an initial deposit of 200 EUR. This is an account type for all those who are new in the binary trading. When successfully signed up, traders receive a bonus of 25 percent. 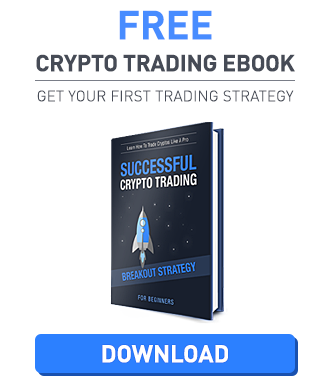 Also, with it comes with a personal account manager, one free withdrawal every month, free educational materials on the trade market and more. Trader Account – This is an account type for all those who have some kind of previous experience with binary trading. Traders can sign up with the deposit of 1000 EUR and get sign up bonus of 50 percent. Also, with it, the customer will get two free withdrawals per month, 2 percent increase in payout, personal account manager, educational materials and more. VIP Account – An account type for experienced traders with a better return on the investment. The deposit required for this account type is 2500 EUR, and it comes with a bonus of 100 percent. Three free withdrawals are available every month. The increase in payout is 3 percent, free trading help, personal account manager, and educational materials. Also, they provide a welcome gift to their customers with this level such as iPhone or iPad. VIPplus Account – For this type of account, the deposit required is 5000 EUR, and it comes with the sign-up bonus of maximum 2500 EUR. It incorporates free withdrawals with personal account manager, educational materials, 4 percent increase in payouts, free market strategies, and an expensive welcome gift. VIP & Forex Account – For those who are looking to get binary options trading together with Forex account. The deposit required for this type of account is 10,000 EUR and it comes with the maximum bonus of 2500 EUR. Other benefits include free withdrawals, unlimited consulting, educational materials, 5 percent increase in payouts. A welcome gift is MacBook Air. Exbino is using sophisticated SpotOption software which provides great user experience, and it’s very easy to use. The platform is very stable and ensures high-quality service for all traders at any time. The Thomson Reuters deliver the Exbino quotes with profits reaching 90 percent on standard options and excellent 350 percent on High Yield options. What’s also great about the platform is their banking. Exbino makes it fast, easy and safe. All the transactions on Exbino are encrypted, and the funds are held in accounts in Switzerland, Poland, and Montenegro. The minimum deposit amount is 150 EUR, and the minimum trading amount is 25 EUR. Deposits are immediately credited to the traders’ account. When it comes to withdrawals, the minimum withdrawal amount is 25 EUR. Always remember to use free withdrawals in order to avoid charges. Withdrawal fees for those who surpass the number of free withdrawals is 10 US dollars. Also, the binary options platform supports deposits and withdrawals in Bitcoin, which is something many traders find attractive. Exbino has a very innovative support system. Users can type a question on live chat, and a FAQ list will pop up; if it doesn’t answer the question, users can simply proceed to chat with support staff. The support is available 24/7 with live chat, phone, Skype and direct sharing help as well. Also, the support is available in several languages including English, Russian, Polish, Czech, and German. There’s also a variety of educational materials for investors including daily market reviews, articles and an educational center with ebooks and videos. Users who are looking to test the platform can open a demo account, which acts as a real deal. The platform has support for mobile trading, with apps for iOS and Android. 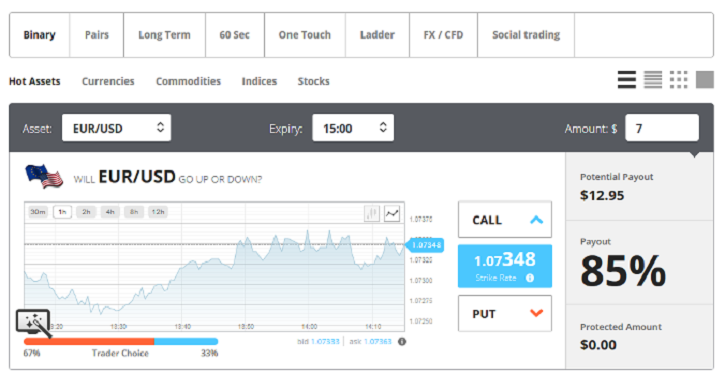 Exbino is a great binary options platform. The entire website is designed with users in mind, and as a web broker, it will satisfy any trader. The innovative support system is working like a charm, and they have good security in place. Exbino is definitely not a scam. Many traders find the platform trustworthy and use it for daily trading. They may not be the best in the business, but they are certainly a decent platform.